The movies cover the entire eclipse event starting about 5 minutes before it begins and ending about 5 minutes after. They contain 1034 images shot at 10 second intervals and then coded into a 6 frames per second movie. This makes each hour take 1 minute. 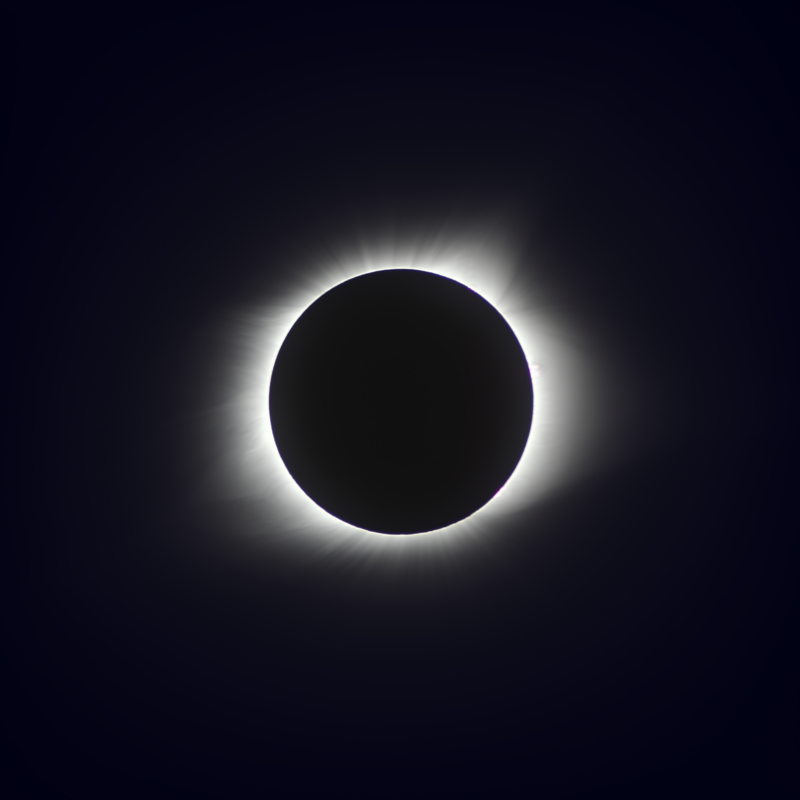 I shot the partial eclipse frames throught a Baader filter and removed it during totality. I did not re-focus for totality, so those frames (and the totality images) are little soft.